in Maldives there is no democracy no human rights, yameen regime has no religion any faith most greedy brutal dictator in history of Maldives, dr jameel if come to the Maldives regime will charge you on terrorism, there is no law. 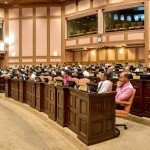 The Maldivian constitution has been amended last week. And with the consent of the opposition. But nobody cares. Why? Because there is the Vice Precedents impeachment to grab all headlines. 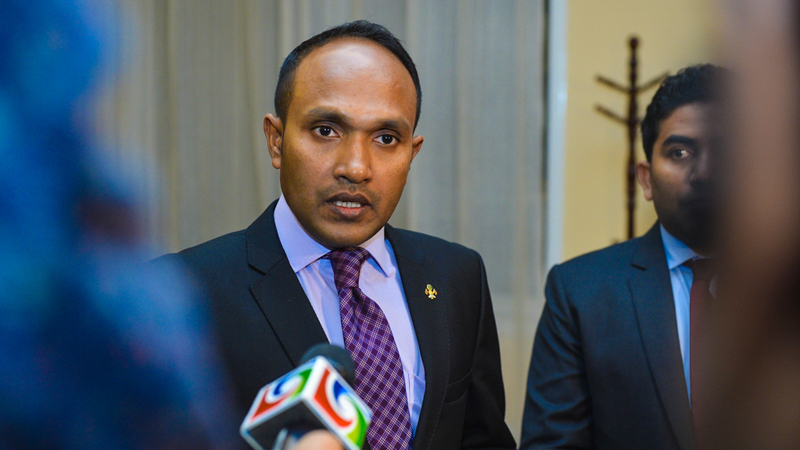 Maldivian's are being hoodwinked by both the Government and opposition. Unfortunately news is biased towards sensational stories - a sign that journalists are also quite young and coming of age. Where was his fear of Allah when he actively participated in bringing down an elected government? How the mighty fall! Good riddance. No ones gonna cry over this hypocrite. Next all his VP privileges should be removed! Soon Maldives will have 2 Vice Presidents - One constitutionally elected and living in exile and the other appointed by parliament. 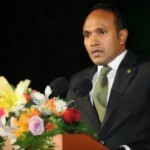 The sitting VP Jameel can only be removed by impeachment. However, since the parliamentary impeachment process have been nullified last week, even impeachment is not possible. This is a constitutional mess of the worst form. Thank you PPM and Maummon clan.